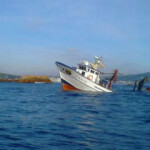 The 24 meter long fishing vessel Nuevo Rio Verde sank off the Formigues Islands, Spain. 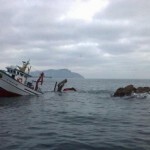 The trawler had struck a rock off the coast causing massive water ingress. 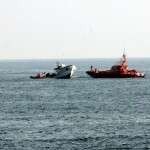 The vessel’s pumps could not stop the flooding and the Nuevo Rio Verde sank by the stern. 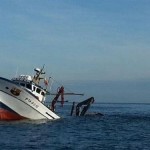 The vessel’s fuel tank was punctured releasing a large oil slick around 20,000 square meters in size. Local authorities responded with dispatching response teams to the scene. 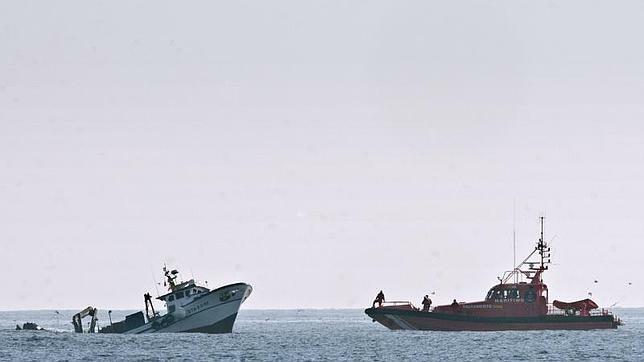 A special diver team along with a salvage firm to contain any remaining fuel on board and refloat the vessel. 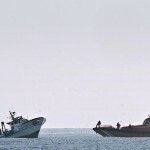 All seven crewmen from the Nuevo Rio Verde were safely rescued.